A few days ago, I was on Facebook and a shocking post came across my screen. Candy Corn stacked up in the shape of an ear of corn, with the tag line, "How old were you when you realized it's called candy corn because if you stack it up, it looks like corn?" My answer was Today...I realized this today. The majority of commenters had the same response. It was truly shocking in a silly, how could I have never realized this, it's so obvious, kind of way. I immediately shared the post to my own Exquisitely Unremarkable Facebook page where the astonishment continued...and frankly continues since this seems to be news to almost everyone. I spent years in primary classrooms as both student and teacher. 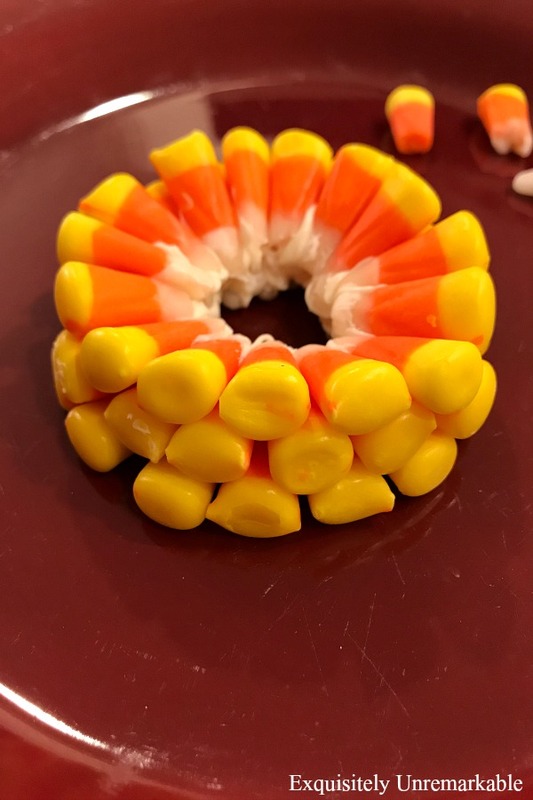 We crafted and cooked and counted candy corn in every way imaginable. I went to camp and was a counselor, I ran PTA craft committees...I mean, you name it, I did it. How is it possible that this never came up?? 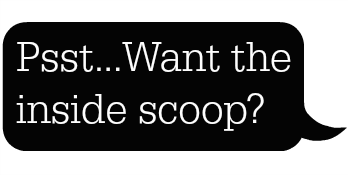 How did this basic knowledge about an iconic fall candy escape me for so long?? 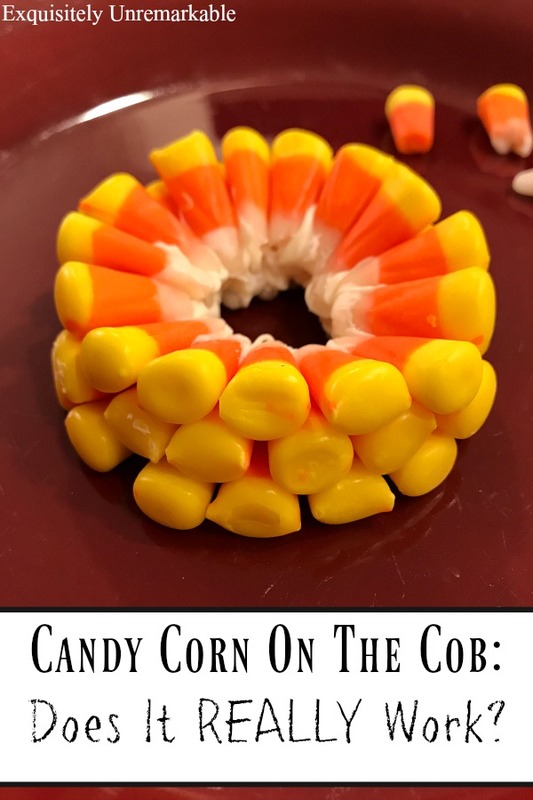 But even more important, what I really wanted to know was where was the candy corn I bought last week, so I could try this immediately?? Well, they were right in the kitchen where I left them, but clearly we didn't have enough. Now, as a mom, with a messy house and a few freelance pieces due, I had much better things to do with my day, but off I went to gather my supplies...which honestly was not an easy task on the day before Halloween. I had to go to three different drug stores and a grocery store to track down two tiny packages of candy corn. Apparently, it's sold out and backordered right now! Candy corn? Backordered? Really? Go figure. I should've given up after one shop, but I was on a mission. Chalk it up to research. Thankfully, the vanilla frosting was much easier to obtain. I knew that working with frosting was going to be a messy job, so I separated my supplies into two bowls and grabbed a small cheese spreader...which I didn't end up using after all. My fingers were a much better option for this job. Right off the bat, this was harder than it looked. Candy corn, at least the pieces in my bags, are not uniform in size and many of the pieces were broken. I had to sift though the bunch to find acceptable kernels. Next, as suspected, there is no way to stack these little suckers without some kind of "glue". They are super slippery and hard to keep in place. When you touch one they all move and if you try to build with them, they slide toward the middle. Royal icing probably would be best, because it dries rock hard, but it's not great for eating. It also takes forever to dry and I'm not a patient crafter. Plus, you have to make it and that's not something I was willing to do. So for a little over a buck I grabbed white frosting from one of the four stores I was in, popped it open, dipped each tip of candy corn into it and gently put it in place. You can see the details in the super quick video. So far, not very easy, but doable and my results were shaping up quite nicely. Three rows in and I had the beginnings of a beautiful ear of corn. 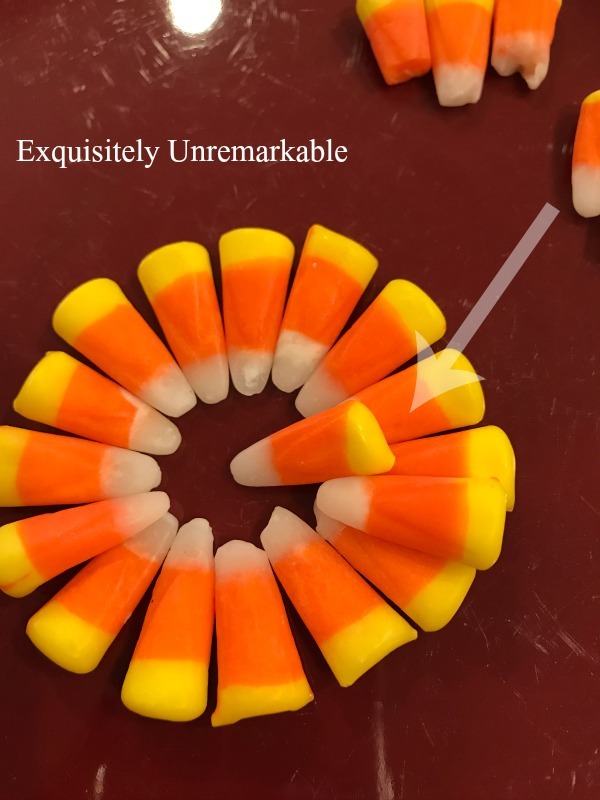 Proof that stacking candy corn did indeed look like an ear of corn. Unfortunately, that's where I lose my happy ending to this candy craft. Once I hit row four, it became very clear that without a stable center support, the slanted angle of the candy was too much for a stable structure. The tips wanted to point down, even with extra frosting to fill the gaps and prop them up. Eventually, by row five, I had a small dome of corn rather than an ear. And that was the end of this experiment folks. I have to say, it was a silly distraction on Halloween Eve and the whole family got in on it somehow...whether they were sideline architects, interested observers or simply taste testers. So what are my take aways? Well, number one, I'm still in awe of the fact I never knew this. Number two. Did it work? Sort of. Would I encourage you to rush out and make them as holiday treats for either Halloween or Thanksgiving. Probably not. They're a lot of work and don't really look like ears of corn after the first few rows. I'm sure there must be recipes out there with cake or chocolate as center forms, to make prettier ears...but this way, no. However. As a mom, a former primary school teacher and Girl Scout leader, I would highly recommend this as a party game for your holiday guests. It sure to provide a lot of laughs. Divide them into groups, hand out the goodies, set a timer and tell them to have at it. Tallest tower or best looking ear, etc., whatever you decide, wins!! The only thing I don't recommend is eating it. Way too much sugar. Oh and don't wait until the day before Halloween to buy your candy. 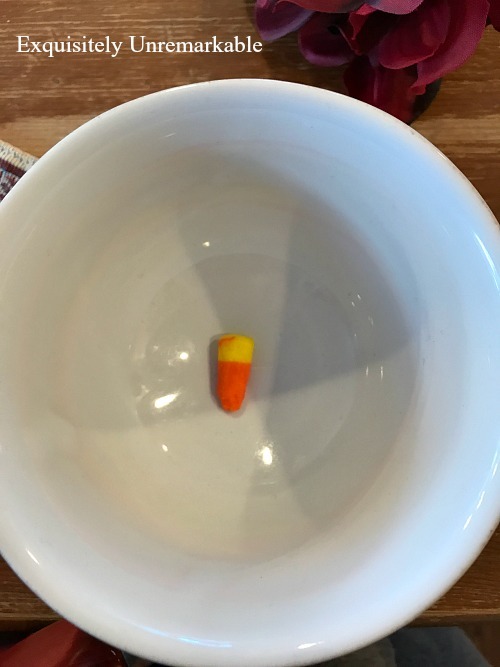 Candy corn is just full of surprises lately. SO you know I have to ask. When did you realize this? I never knew it either! However I have to hand it to you for giving it a try... too bad it didn't work better. It was a fun experiment, Susan! I'm not a huge Halloween fan, but it did add a little holiday cheer to the night! Ha, I saw the same thing. Never in a million years would I have put 2plus2 together. Great attempt at trying though. I'm with you Sharon...and I'm not sure this is actually a really thing based on fact, but it was fun to try! LOL! I never knew that either. I love candy corn. It is addictive to me. That is why I never buy it. Fun post! It's way too sweet for me to eat too much...which I always end up doing!! Well look! You made a "corn flower"! Ha! Kathy that is what the kids said! I'm not sure this is what the original candy makers ever intended, but it was fun to try! Here is my take. This never was a thing. I think someone clever cooked this up just recently and fooled all of us into thinking it was a thing from way back. I saw the facebook post too but didn't look at any comments. Did anyone admit to a long ago knowledge of this? Fun post. Look forward to reading the comments. A few years ago I needed candy corn for a blessing mix I was making for Thanksgiving. And I had to go to 5 stores and I finally found one last lonely bag of candy corn!! Thank Goodness, or my blessing mix would not have been the same. We could find plenty of the maple and brown sugar candy corn...it was several shades of brown. What?!? Um no thank you!! Today as I read your post. DUH. I know...I think a lot of us had that same reaction! I never heard of that and I go back a long way with candy corn. But I love your determination to see if it works and I think you do have a great party game idea. I just had another thought. Am I the only one who thinks candy corn doesn't taste as good as it used to? I remember Mama taking us downtown to Nashville and letting my little sisters and I buy a little paper bag each of candy corn. I remember the sales lady scooping it up out of the big glass case and pouring it into a pretty bag and folding the end over and scotch taping it closed. That was the best candy corn! It just doesn't taste that good anymore. Just remembered I forgot to click on the video, I'll do that now. It was a fun experiment! I saw this on Facebook too, but wondered how it would actually work. Thanks for the review! Sometimes it's fun to do something totally frivolous! I saw that on FB too and never knew that before. I like your effort and you're right, it would be a fun party game. We had a lot of laughs trying this one out! So, if you want to actually MAKE a corn cob, royal icing is the way to go... 4 rows, let it harden, r more rows, etc. Great idea about the game! I have a better solution for candy corn...make butterfinger candy. It's only 3 total ingredients. 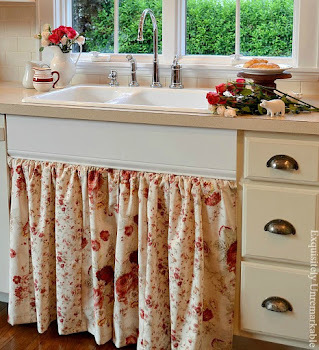 Check out Pinterest for the instructions. I'll check it out, Doris! Thanks!! I don't believe everything I read. think it's a Facebook fallacy meant to cause ruckus! Someone is probably laughing right now at all the failed DIY experiments - lol. 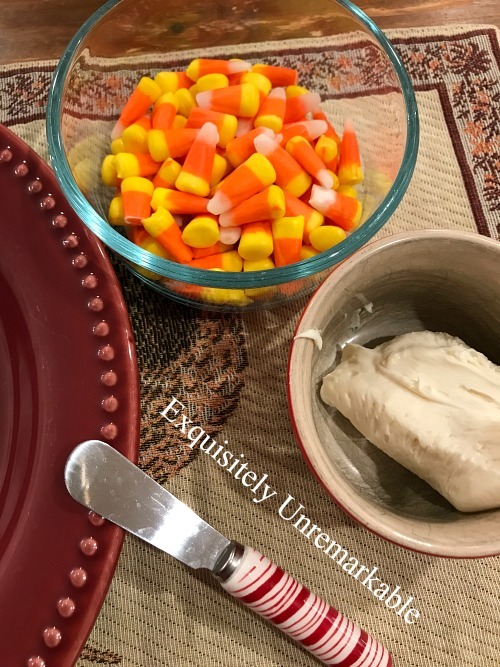 Anyway, I always thought it was called candy corn because it looks like niblets (cue the 'Green Giant' music in my head :) If you ever want to try it again, try cookie dough (eggless if you don't want to eat raw egg). Roll it into a tube to act as a core and stick it halfway in; it should hold its shape. I totally agree with you, Sara. 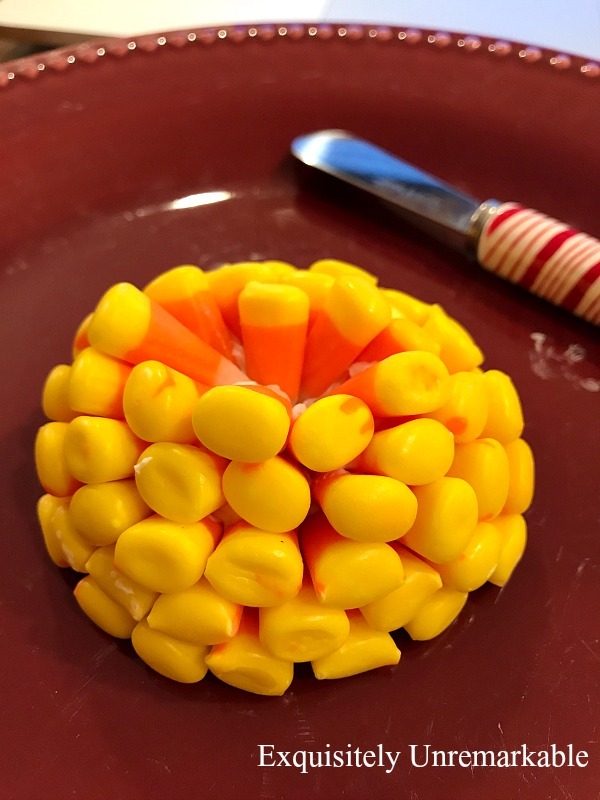 Before I tried this, I investigated the history of Candy Corn online and there was no mention of this anywhere. You are right, it absolutely was made in corn kernel pans, so that part was intentional...But it was a super fun distraction on a rainy October evening. And thanks for the tip...we may try it! News to me also! I admire your effort...I don't think I would have had the patience for even row 1! Hope you had a great Halloween! Love and hugs! Candy corn was first made In The late 1800’s. It was called “ cream candy” and was made to look like chicken feed. More than 35 million pounds are made every year, enough to circle the moon almost 4 times. I investigated this, too, Chris and yes, that's what I found. There's no evidence of it being made so an actual ear could be constructed, but it was a fun way to spend an evening. Thanks for the information!! I investigated it, Rue and of course, there's no evidence that this was the intention way back when when this candy was conceived, but as I said to Benita, it was a much better way to spend an evening that vacuuming! Ha! News to me too. I just love to eat them since they are only around once a year! I actually saw red, green and white "candy corn" today called reindeer corn. I am impressed on your research methods! AnnMarie, I actually dove into the internet before I tried it and found out that it probably wasn't a real thing...but it was an entertaining experiment and a sweet treat! 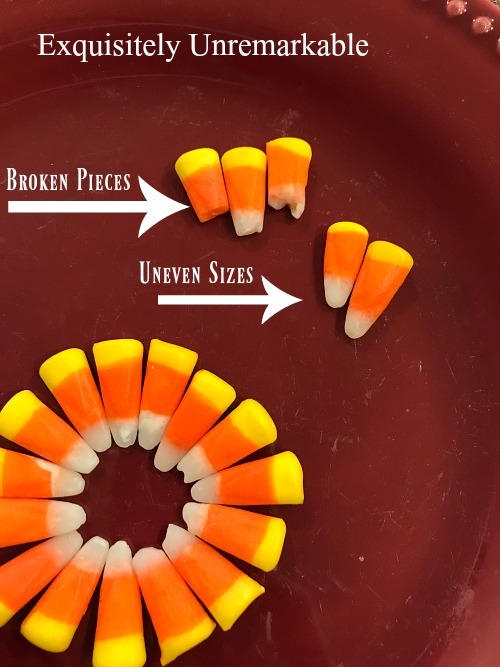 Still blown away that candy corn stacks! 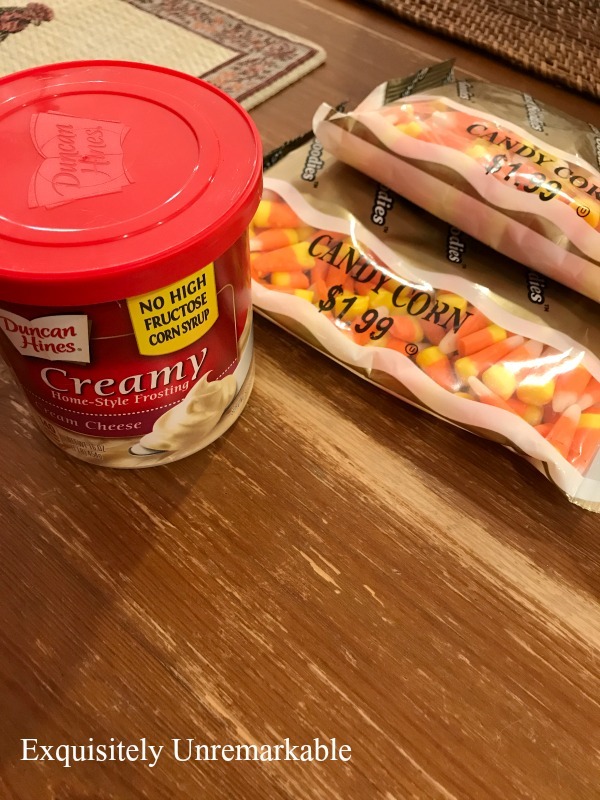 And equally blown away that it was on backorder...maybe due to the FB post there was a rush to purchase candy corn and prove it as fact or myth? I really like your idea for making this a party game! It would be fun! I think it's a myth Audra after my own internet research...which you know is always reliable! 😉 It really would be a fun game though...kind of like edible Jenga! LOL Kim, only you would go out and test the theory. But I'm so glad you did, coz I sure as dammit didn't know that either. It was a super fun experiment, Michelle...and tasty, too!! I never really thought about it looking like corn on the cob. Hope you had a nice Halloween. Oh we'd never be able to complete that at our house either. We'd be eating as we attempted to build. By the way, we bought candy corn twice and then a few days before Halloween my hubby wanted more. There was none to be found. It was fun, Stacey...it was like edible Jenga!! I saw this for the first time just the other day on facebook!!!! Like you, I was a teacher (now retired), taught GAs at church, taught Bible school, etc. etc. etc. and thought I'd made every craft imaginable. But this was sure news to me! However, you have more patience that me cause I'm just gonna take people's word for it!!! By the way....I hate candy corn!!!! I bet that would look great Angel! Now you just have to find the candy corn. It’s still on back order where I am…who knew it was so popular!